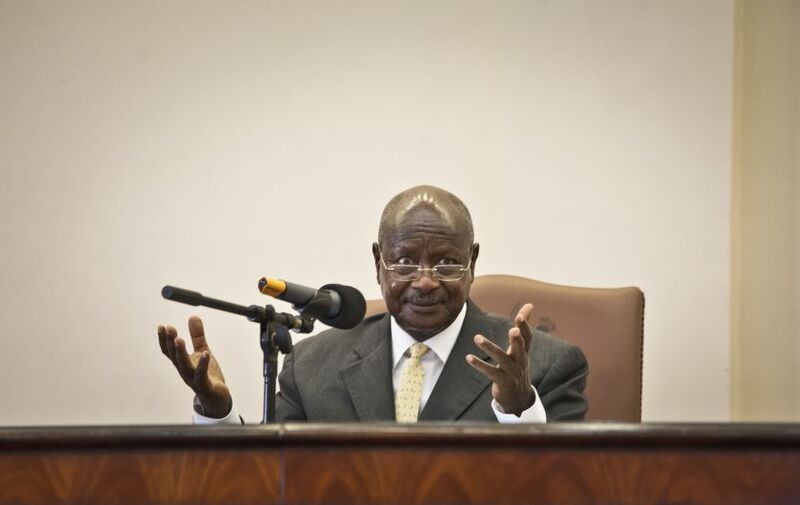 Uganda’s anti-gay law has the U.S. in an uncomfortable situation. We know about the direct connection between right-wing American evangelists and the anti-gay bill (even when it called for the execution of gays). But there’s more domestic controversy. Follow the paper trail and you’ll find, about 8,000 miles away, an unlikely (and probably unknowing) actor in the bill’s passage — the U.S. government. Putting accusations of a conspiracy theory aside, it’s worth taking a look at the green elephant in the room. Let’s go backwards. Before President Musevi signed the anti-gay bill into law, he cited a shoddy health report by Uganda’s Ministry of Health to justify his decision. The committee that wrote this report was put together by Ministry of Health staffer Jane Aceng. Aceng runs the ministry’s program to fight HIV, which has not addressed the needs of the gay HIV population, despite international pressure. (The lack of care prompted activists to set up their own clinic which has been denounced.) The U.S. government funds Aceng’s work with the HIV program directly. It also gives $5 million in funding to the program that Aceng runs, indirectly helping support her political career. Can we expect financial analysts to be so acutely aware of our tax dollars? Should we? Another awkward fact: One of our very own Congressmen reportedly met with anti-gay leaders before the bill’s passage, supported its passage, and took military helicopters to make his visits. U.S. Congressman James Inofe (R-Okla.) is a shady character indeed, and his salary is taxpayer funded. President Obama has called the soon-to-be law a “step backward” for Ugandans and warned that signing the bill into law would “complicate our valued relationship with Uganda.” Secretary of State John Kerry compared the law to apartheid and Nazism. American officials are debating whether or not to stop funds to Uganda — weighing military cooperation interests. Meanwhile, the World Bank has frozen a $90 million loan over the human rights abuse. Norway, Denmark and the Netherlands have cut or suspended millions of dollars to Uganda. Now that journalists have made the (indirect) connections clear between U.S. taxpayer money and the health organizations involved in the passing of Uganda’s anti-gay law, will the U.S. make any changes to its funding? We can no longer ignore the piles of taxpayer dollars going to a country so adamantly against equality.